Misano 18.00 (Italian time), Saturday 10th of October. We are pleased to welcome ‘Dicko’ back to join Peter Lindén for another classic 4 hrs adventure at this weekend’s Misano event. Hugh is once again away on Marathon duties and Mike has kindly agreed to stand in.! And what a stand-in he was at the Classic Bol, returning excellent lap times and coming home with a win. Misano is a Saturday evening race, starting in the light and racing into darkness. 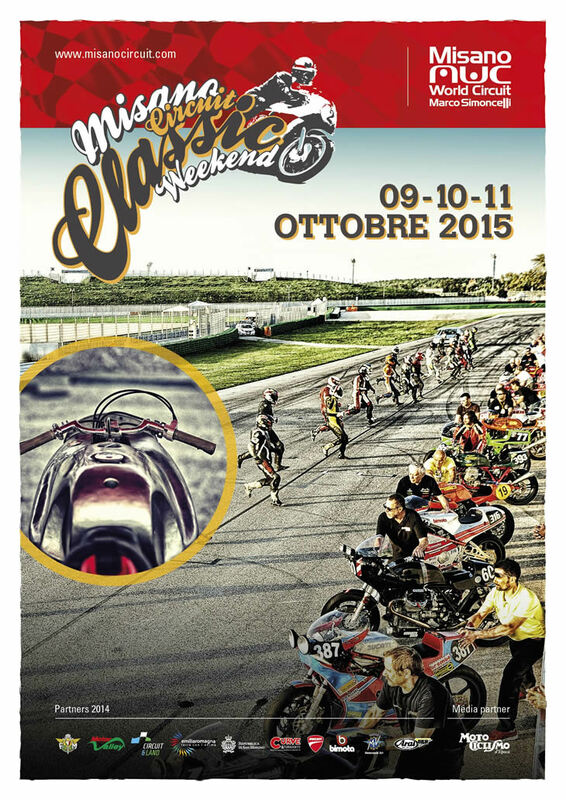 It is the final event in the Italian 4 round championship for classic bikes of pre-82. The previous rounds have been at Imola, Mugello and Vallelunga, so it could be a great one to do in the future, if there are no date clashes. Peter is on great form and with Mike and a new engine (to be run-in on Friday), expectations are high…. The track is just over an hour from Bologna and I checked Ryanair prices the other day. Under £50….what’s YOUR excuse.?! Snetterton could be a temperature shock to the system after Misano, but we may be lucky! The Team are pleased to announce that Peter Lindén will be joined by Steve Smith for this race. Steve competed well at the classic Bol on his father’s Yamaha OWO1 with Steven Neate, returning great times and with every prospect of a class win, until their machinery let them down. For those who don’t know; Steve is ex-endurance racer Dave Smith’s boy, and the OWO1 is the very one which Dave competed on in the early 1990s. 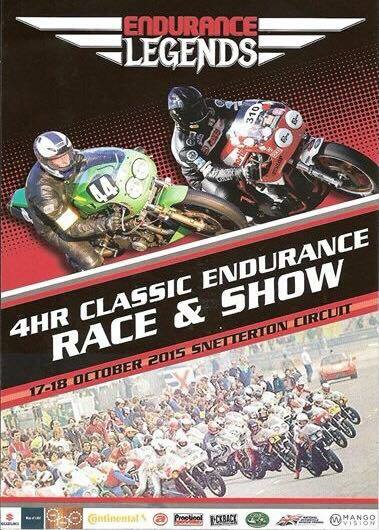 The Snetterton 4 hrs race is a significant event as it is the first classic 4 hrs race in the UK. We are used to having the sport in all our neighbouring countries and it is difficult to understand why it’s not been here sooner. Anyway, it is now and the Team are very pleased to support this inaugural event and salute the organisers for taking the plunge. Already, a bigger and better event is being spoken about next year, but right now there is a race to win. First free practice is at 10.20 on Saturday morning with a single qualifying session, per rider, later on Saturday. Warm up is late morning on Sunday. The race is at 1.00. Please come and visit us. Thanks to MES and Ray Marchant for entering the Team for this Snetterton race. Previous Previous post: Sweatshop Phase One win at the Classic Bol d’Or ! Next Next post: Misano 4hrs; – winnin’ in the rain !